The Camellia is a genus of flowering plants that belongs to the Theaceae family, native to the tropical areas of Asia. The genus name, chosen by Linnaeus, is derived from the Latinized name of the Jesuit missionary Georg Joseph Kamel (1661-1706), chemist and botanist, who first imported the plant from Japan. The genus Camellia includes plants in shrub or small tree, evergreen, tall up to 15 m. The leaves are simple alternate, green color more or less dark according to species, shiny and leathery, sometimes fleshy and have stipules and aromatic glands, with smooth or crenate margins, elliptical, lanceolate or oblong-lanceolate. Flowers are single or double, white, pink or red, fragrance free or very fragrant; these are plants adapted to temperate and humid climates. In tropical areas of Asia, from the Camellia sinensis (L.) O. Kuntze ( = C. thea), and its young leaves is obtained the noted refreshing beverage known as tea. The most cultivated as an ornamental plant in gardens, parks and boulevards, is the CAMELIA JAPONICA. Originally from Korea and Japan it’s a shrub that reaches a few meters tall; it has evergreen leaves, oval, of a shiny dark green; it has a spring flowering with colourful flowers in various shades from white to deep red, rose-shaped blooms open and flattened. About winter-flowering camellias, our thoughts immediately go to CAMELIA SASANQUA, a specie native to the Japanese island of Okinawa, where it is called “sazankwa” (which means “mountain tea flower”) and where it has been cultivated for several centuries, also for reasons related to feed. Characterized by rather small and narrow leaves, as well as lightly scented flower-shaped semi-double flowers with rose-coloured or white petals, the species was introduced to Europe in the mid-700. Soon exploited by breeders and nurserymen, both for its hardiness, both for the advantage of its flowering between October and March (depending on the variety), the Camelia Sasanqua has generated hundreds of new forms, often very different between them. Camellia japonica was introduced into Europe from Japan in its simple form in 1739 while the different varieties with double flowers were imported from China in 1792 and many others in the first two decades of the 1800s. It is thought 23 varieties produced by Japanese and Chinese floriculturists, had been imported from the Far East. It must be said that the Camellias were very popular in 1800 and that all floriculture was based on their flowers, so that begonias, balsamine, roses, etc were created all in a camellia shape. Until, due to the exaggeration in the creation and research of larger, more double, multi-coloured flowers made become these plants sickening and for this reason they probably passed into oblivion. 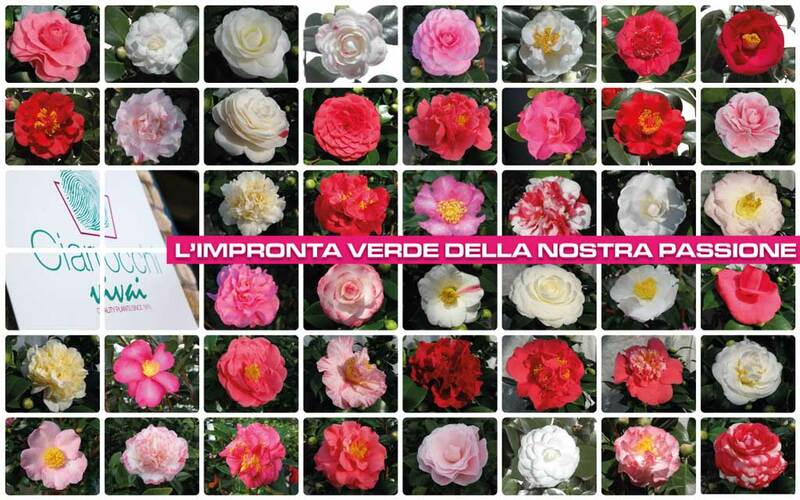 The Ciarrocchi Nursery – in the course of its hundred years of activity – has become specialized in the production of the JAPONICA and SASANQUA Camellias. Our camellias are produced with particular attention aesthetics, to meet the requests of demanding customers and experts, which seeks compact but harmonious plants. Precisely for this reason great attention is given to the selection of plants ready for shipment, in order to guarantee uniform batches corresponding to the required standards. They are plants that love the air and indoor environments are deleterious for them. So they need to stay in a confined space only for short periods during the cold season, when low temperatures do not allow you to raise them outdoors (below 5-7 °C). But as soon as temperatures rise they must immediately be placed outdoors. It’s best to place the Camellia in partial shade and not in direct sunlight and ensure a humid environment and a well-ventilated area. The Camellia during the spring / summer should be watered to keep the soil moist, but not soggy. And it’s advisable to make foliar watering twice a week to clean the leaves avoiding to do it during the hottest hours of the day as it would cause the appearance of black marks, similar to burns. During the cold season let the soil dry between an irrigation and another . It’s important to ensure a fairly moist environment around the Camellia to foster the development of the gems that would otherwise dry up. It would be advisable to water using non-calcareous water. 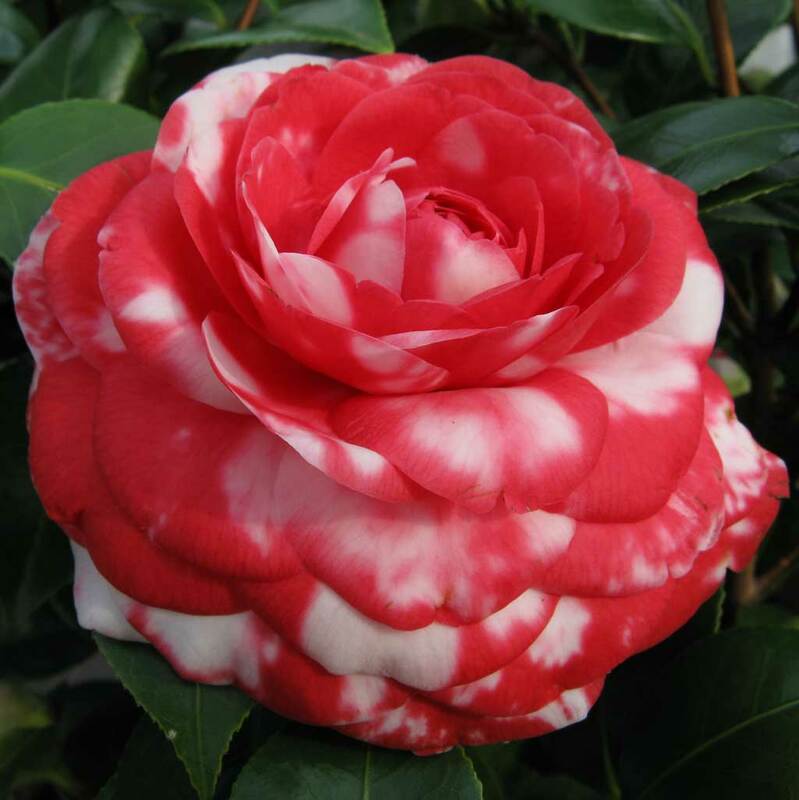 For the Camellia needs a regular fertilization plan that runs from March to September , i.e. for the entire period in which the plants are outdoors decreasing doses than reported in the package. During the other periods it must to be suspended. The type of fertilizer to use is a 2 : 0,8 : 1,5 formula: namely 2 parts of Nitrogen (N), 0.8 shares of Phosphorus (P2O5) and 1.5 parts of Potassium ( K2O). It’s important that the nitrogen has a higher title as this promotes the formation of more brilliant green leaves. The Camellia wants an acidic soil, loose and rich in organic matter (such as decaying leaves, pine needles, peat, forest loam, pine bark , wood chips, etc) and it must be very well drained as it is a plant that does not tolerate waterlogging. The period for repotting is from September to October and it is preferable to do it every year. Pruning is a very important practice for the Camellia as they are plants which tend to grow in a disordered manner and it is important that the light and the air can circulate in all parts of the plant. After the plant has flowered you cut the dead branches or the crooked and poorly developed, and you have to lop the vegetative apex to promote tillering of the plant. 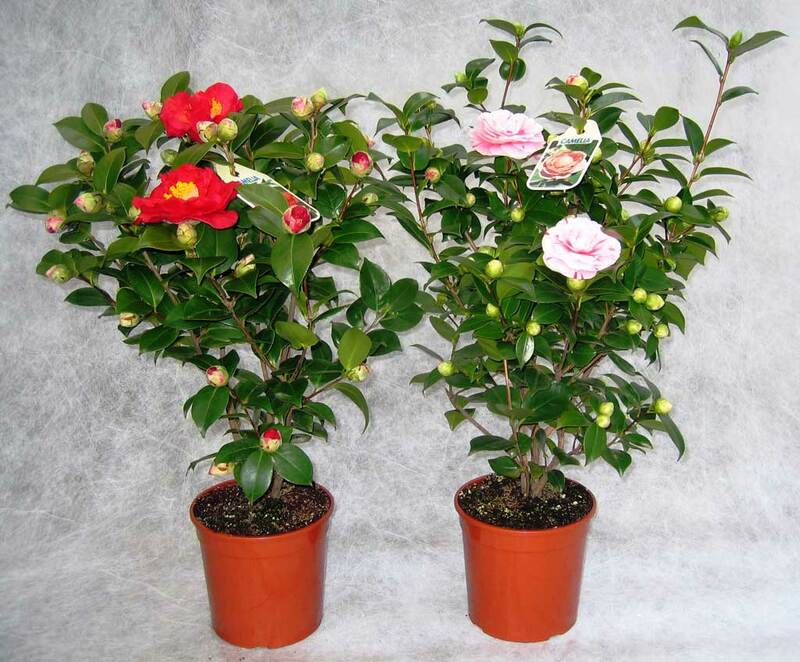 The Camellia can be easily reproduced from seed, even if the best method of multiplication is the cuttings, since the plants obtained from seeds of hybrid plants do not produce flowers identical to those of the parent plant. Another technique used is the graft. The graft of Camellia is often used to replace a variety to another, especially in adult specimens. The best technique is to engage the camellia scion grafting. It is called a scion a piece of branch with different gems (which usually is cut but can also be the branch of a potted plant). Among the various types of scion grafts one of the most used for camellia is the grafting for approximation. This technique consists in creating a longitudinal cut by removing a part of the bark of the trunk in each of the two plants (rootstock and scion). Wounds will be dovetailed and will be tight tied with raffia. After about two months cut the rootstock (above the grafting) and the graft (below the graft). The best time to make a grafting is March-April. You can also use cleft or crown graftings. NB: Since it is preferable that the scions remain at rest until the time of the grafting, it is good to pick them up during the winter and keep them cool. The most common pest is the aphid, insect that attacks almost all the species mentioned. Very often some variety from the cochineal. Remedy : Remove the leaves of Camelia affected and make treatments with products based on copper . If the plant is small you can remove them with a cotton ball soaked in alcohol but if the plant is large and well developed then it is advisable to use with specific pesticides available at a good nursery. "If you would be happy for a day: get drunk. If you would be happy for a month: dill a pig. If you want be happy for a year: get married. If you want be happy all your life… grow camellias"